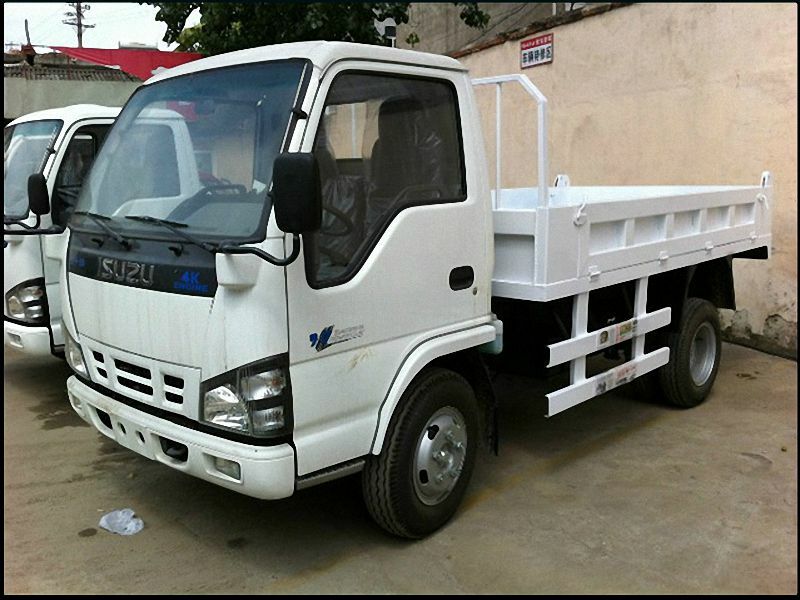 ISUZU 600P single row dump truck, adopts ISUZU 600P original chassis, Euro 4 ISUZU 120hp 4K1-TCG40 engine, ISUZU MSB 5 speed transmission, warm and cold air-conditioner, power steering, 2ton front bridge/4.8ton rear bridge, audio with USB interface radio, oil cut brake with vacuum booster pump, car trim, the driver cab cannot turntable, 650-16 tyre, etc. ISUZU 600P tipper, adopts middle lifting double cylinder 90#, 3mm thickness side sheet and 4mm bottom sheet, rear door opened. The side and bottom sheet can choose thicker sheet, etc. We can do the tipper according to customers` requirements. A dump truck (known in the UK as a dumper/ Tipper Truck ) is a truck used for transporting loose material (such as sand, gravel, or demolition waste) for construction. A typical dump truck is equipped with an open-box bed, which is hinged at the rear and equipped with hydraulic pistons to lift the front, allowing the material in the bed to be deposited ("dumped") on the ground behind the truck at the site of delivery. 1. The chassis is purchased from some domestic famous companies, such as China Dongfeng Automobile Company, China Dongfeng Motor Limited Company, China Dongfeng Automobile Limited Liability Company, FAW Jiefang, Sino Truck, Beiqi Foton Motor, Hualing Heavy-duty Truck, Northern Benz, Shaanxi Automobile, Jianghuai Automobile, and Jiangling Motors. 2. The dump truck is mainly composed of hydraulic system and operating system. 3. Its two hydraulic cylinders are made by domestic well-known companies. 4. The carriage is made of carbon steel and stainless steel whose thickness is in the range of 5 to 20mm. It can rotate automatically to unload goods. Its cycle time is less than 60s. 5. The shape of carriage could be U-shaped or V-shaped. The carriage also can be designed with back door, side door, ternary door or more. 6. Seal cover is optional. Users can open the seal cover manually or hydraulically. The dump truck is kind of special truck self-discharging goods by hydraulic lifting or mechanism lifting. It is also called tipper, made up of chassis, hydraulic lifting mechanism, van, PTO, etc. In engineering, the dump truck is always working with digging machine/vehicle, loader, band conveyor, etc. with a production line of loading, transporting, unloading, loading, unloading, and transporting earth, freestone, bulk cargo, etc. The new dump truck of after mending dump truck must be trial operating, making the van lifting safety and steady. Every part of the dump truck should choose the right lube oil, much more saving discharging time and manpower, the lifting mechanism should be strictly change lube oil. The dump truck cannot be overload, according to the rated mass. outlook, single axle dump truck, double axle dump truck, flathead dump truck, long head dump truck, front four and rear eight dump truck, 2 axles tipper semi-trailer, 3 axles tipper semi-trailer, etc. 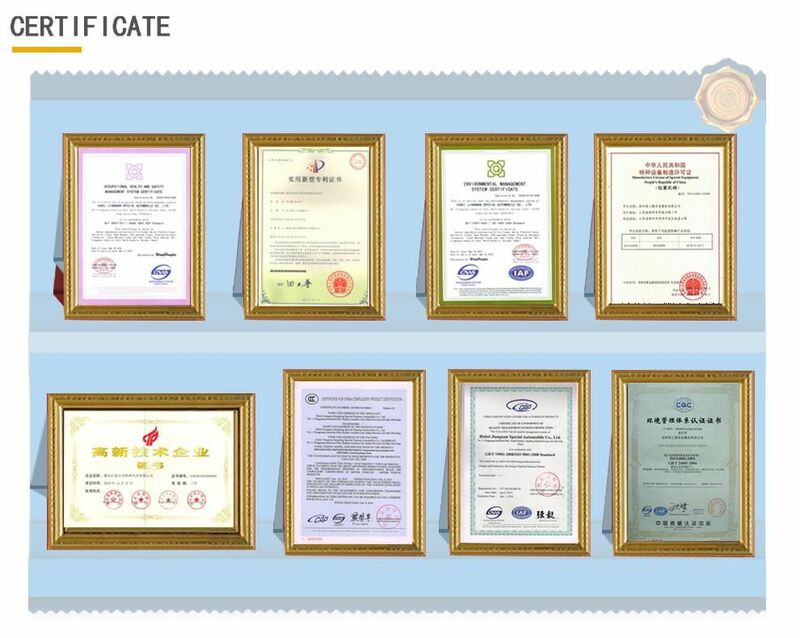 Usage: agricultural dump truck, mining dump truck/tipper, garbage dump truck, coal dump truck/tipper, engineering dump truck, sewer dump truck, etc. Driving type: 6*4, 8*4 dump truck and tipper semi-trailer, etc. Looking for ideal Isuzu Trucks for Sale Manufacturer & supplier ? We have a wide selection at great prices to help you get creative. All the Isuzu Tipper Truck are quality guaranteed. 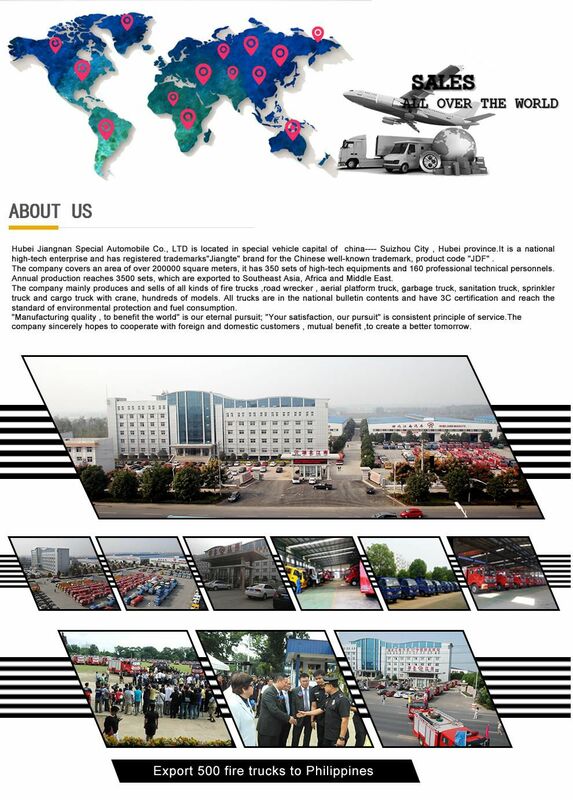 We are China Origin Factory of Isuzu Tipper Trucks for Sale. If you have any question, please feel free to contact us.